Raspberry Pi 3, with its quad-core ARM Cortex-A53 processor, is our first 64-bit product, supporting ARM’s A64 instruction set and the ARMv8-A architecture. However, we’ve not yet taken the opportunity to ship a 64-bit operating system: our Raspbian images are designed to run on every Raspberry Pi, including the 32-bit ARMv6 Raspberry Pi 1 and Raspberry Pi Zero, and the 32-bit ARMv7 Raspberry Pi 2. We use an ARMv6 userland with selected ARMv7 fast paths enabled at run time. There’s been some great work done in the community. Thanks to some heroic work from forum user Electron752, we have a working 64-bit kernel, and both Ubuntu and Fedora userlands have been run successfully on top of this. 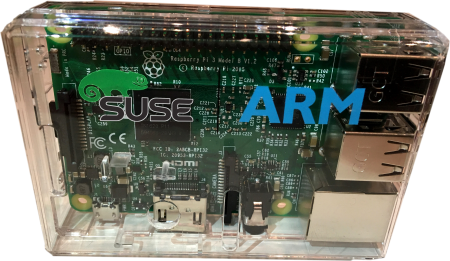 Which brings us to last week’s announcement: that SUSE have released a version of their Linux Enterprise Server product that supports Raspberry Pi 3. Why is this important? Because for the first time we have an official 64-bit operating system release from a major vendor, with support for our onboard wireless networking and Bluetooth. SUSE have kindly upstreamed the patches that they needed to make this work, so hopefully official support from other vendors won’t be far behind. You can download an image here. Give it a spin and let us know what you think. There is some documentation provided here. Maybe this needs adding to the main post? That’s a great step forward. Now we just need a 4 GB RAM Pi4 ? to come out to make the most of the processor capability..
Isn’t there some advantage for the Pi3 anyways, like faster performance and other 64-bit advantages, besides the “you can use more than 4GB RAM” point? Expanding the Pi to 4 GB of RAM isn’t just a matter of slapping on a few more RAM chips – they need to reengineer the SoC that is the heart of the Pi to change that limit – a non-trivial, and very expensive, task (at that point they’ll likely make numerous other improvements). It’ll happen, but don’t hold your breath. Enjoy the Pi 3B we have now. Great news, and why not? Ill have to see if our Valentina Server 64 bit will work on it. Tada! The great exciting announcements just keep coming, never quite got my system around Suse in the past, now might be time to try so. Good job folks. Now all you need is a RP4 that can support multiple disk drives (like SATA/NAS) and has twin NICs, then you would have the “teacher’s” computer. Since you now have PIXE booting, all students could be served for their OSs and a given day’s worth of course work. Better yet, place the above RP4 onto a single/double sided Compute Module board and also design a multiple 4-Core Processor based Compute Module. So you could have the “School’s” computer. SSDs really remove the need for multiple drives unless you want to use RAID to protect against drive failure. You forgot the Pi 3 does have two NICs: wired ethernet and WiFi! So PXE/TFTP/DHCP booting can be set for the ethernet port which would be connected to the switch that students’ Pis are plugged into as well. Then teacher continue to use the WiFi for normal activities and internet access, which may be better that way anyways since you don’t want those kids distracted on Facebook, etc. As for disk drives, you just answered your own question, which is a NAS (_NETWORK_ attached storage). In such usage it would probably be better to get a dedicated NAS device, with multiple drive slots for room to grow. Then enable network shares via CIFS/samba or NFS and configure PXE booting to redirect so the Pis mount and get files from there. So even with Pi 3 it is doable with much the same hardware, just a little thought into infrastructure and design. Free trial? Have to buy it? Hmmm. Wow… Talk about coming around “full circle”… In 2002, I built a system around two AMD Opteron 240 CPUs and put SuSE 9.2 on it because it was the only 64-bit Linux available. That system has been my “benchmark” for where I’d like to see the Pi get to for use as a server. The Pi3 is actually pretty close. If the “Pi4B” is able to open up the speed for mass storage, I think it’ll be there, or–at least–close enough. So awesome!! Now I can finally run a familiar and supported server based environment at home on a tiny $35 box. But it seems like the Pi is sneaking its way even more into vertical markets and the corporate realm. I will be checking this out. I wonder which boot method they are using, with u-boot or the binary blob. In any case, SUSE has just thrown down the gauntlet. How will Red Hat and others respond??? OK. Registration issue is about time settings and root rights. If you skip to register to SuSe with your code from SuSe registration during the installation, you have to register after. You need to set the right time and you have to registrate your installation to SuSe server using the command line using sudo: sudo SUSEConnect –regcode . Graphical tool from menu is missin relevant rights. I found my way to sysconfig fine. Missed the time setting. The tip about time was the ticket. This presumably will install on the Raspberry Pi 2B new revision with the BCM2837 SoC ?? No, SUSE Linux Enterprise Server (SLES) for Raspberry Pi requireso a 64-bit Pi and the Pi 2B is 32-bit. Currently only the Pi 3 is supported as that’s the only 64-bit Pi currently available. Not so, the new Pi2 (V1.2) has a 64-bit Cortex-a53 processor identical to the Pi3. So do we have any idea if the move to 64bit is worth it? How much bloat does it add to the binaries to use 64 vs 32 bit addressees? Is it slower or faster? I assume that with the move to 64 bit instruction set might be faster….. Remember that currently the Pi can’t have more that 1Gb of memory. No much that I have seen. All the 64-bit programs I have compiled have a smaller binary than the 32-bit version. As for memory size, it depends on your program. Is noticably faster/slower than 32bit? The first case was with some integer based operations. They are comparable. But, in the second case, with float point operations, an openSUSE 64 bit is 4 times faster than a Raspbian 32 bit, both on RPI3 machines. This is very similar to a test I made thousands of years ago with the first Xeon 64 bit processors when comparing 32 vs 64 bit compiled programs. Take into consideration that the test only involved ONE core. As an extra comparison, a Mac with i7 2.3 GHz is 5 times faster than the openSUSE machine. I know this is not a perfect comparison, but I was trying to understand how expensive are the RPI3 machines comparing these results. In this case, the idea is to multiply the quantity of machines, and their price, needed to match the i7 base reference computer (again, forgetting Amdahl rule, cluster management and related stuff). As can be seen, the RPI3 with Raspbian and 32 bit has a very similar final price to match the i7 on pure float point price. However, with 64 bits it is really much cheaper. But the real issue here is that you don’t need 100% of the time the i7 raw power, so to have RPI3 machines has a lot of sense because they help you to refine your investments. SUSE Linux is my favourite OS for many years already: at work and at home. It’s stable, reliable, convenient and stylish. And it’s really great that “chameleon” can now be used with “Raspberry Pi”! Can I run real sever staff like on the normal SuSe Enterprise Server or is there any limitation of Software which would not run?. I am thinking about an SuSe directory, dhcp, dns server (like Windows AD). Just wanted to let everyone know that you can build your own 64-bit kernel from the downstream tree(or upstream tree). I just reconfirmed that branch rpi-4.8.y from http://www.github.com/raspberrypi/linux works. Just use the bcmrpi3_defconfig build config and the aarch64 cross compiler. As a warning I’m just a forum user, but I understand that the upstream tree is preferred for 64-bit support at http://www.kernel.org. I don’t use u-boot, but I understand u-boot gives some extra security features and flexibility by implementing EUFI. I understand it’s possible to put grub in the boot process to enable menus. I think it also provides extra security features such as the ability to load the kernel at a random address. Thanks for the great work on 64 bit. Hopefully this will speed up the inevitable move to 64 bit Raspbian even though it will be a major burden maintaining 32 and 64 bit versions. The need to register with SUSE (just another login) means I’ll give this a skip for now. When Canonical get 64 bit Ubuntu running on the Pi3 then I will try it out. No super urgent need as of today. Still love seeing the advancement and the working being done by multiple Open Source communities to make the Pi even more awesome. Just wanted to let you know that I was able to set Ubuntu Xenial LTS server to boot on a RPI 3 in ARM64 mode this morning. It seems to work just fine. 1. Use debootstrap –arch arm64 –foreign pointed at http://ports.ubuntu.com to install from a X86 machine. 2. Copy over the kernel and run debootstrap –second-stage on the RPI 3. 3. Install tasksel using apt. 4. Run tasksel install server. It probably wouldn’t get hard to get their graphical installer to work by copying over the RPI linux kernel. Thank you for your whole 64bit on Pi effort. Installing it needs a keyboard (user and root passwords must be typed). I didn’t need one for Raspbian (once Raspbian installed, I could ssh to it via the eth0 interface and insert the wlan0 passphrase via my tablet). Could the installation process have those fields preset so that just a mouse is enough to set the whole thing up ? This may be an interesting interim development, but can anyone can suggest ANY benefit running a 64 bit OS on 1GB memory? It is hard to even imagine any benefit from mapping virtual memory to a SD Card or HDD on USB2? At best code will be slightly larger and marginally slower (due to longer instructions). Please go and learn what 64 bit means in this use case. 64 bit has many facets that depend on CPU arch, ABI used and how default types are defined. Peddling miss information from your own miss understanding is not doing anyone any good. 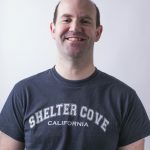 Advice from a grumpy old man with 25+ years coding experience, it is very hard to know what the impact is without working with a system for a while using with ASM and C/C++. I would say the only one who has a good understanding of the details of the port and the implications is Electron752. Suse was one of the best early distributions. It had a lot of amateur radio support. I will give it a try. Thank you! I downloaded it.. I am typing this comment from suse .. it comes with firefox only .. putting the image on a sd from the mac using the dd command did not work.. wound up changing .raw to .img and using apple pi baker .. that did work .. and took 5 mins. could not configure my wifii on initial config so successfully used eth0 and configured the wifii after running. This makes me really REALLY appreciate pixel and raspian … the are so easy to use and posished compared to this. Lots of things are not there . ie. htop NTP not configured. .Poor display support .. ie. my 40 inch vizeo hdmi tv did not work but my 20 in samsung dvi display via hdmi converter did. It does not seem to run any quicker than raspbian. The boot up is much slower. It was interesting to install it and use it .. I am sure over time it will get better ..
A big plus for many of us who actually do intensive research and education work in science and engineering is the free Mathematica that comes with the Raspian distribution. Without the 64 bit free Mathematica, I see little advantage in going 64 bit, other than when one wants to do number crunching. EPTON, if you are listening, PLEASE continue on with developing a 64 bit Raspian and getting a new, 64 bit version of Mathematica that comes with the distribution. The Mathematica is a very expensive program to have to buy or license for a private individual, and dramatically increases the value and usefulness of the Pi and the Raspian distribution. My Logitech wireless USB k700 mouse and keyboard combo does not work from my research it seems to be a kernel issues. Have not got past that issue. Glad to see this thread on the RaspberryPi.org site. Sending this via Firefox running on SUSE on a Pi-3. Had tried kraxel’s 64-bit Fedora 24 over the summer, but various parts of it didn’t work. Got SUSE up and running in and hour or two (long time to dd on my Mac, and it seemed to have failed but hadn’t). So far it feels just like a regular distribution — things just work, for the most part. Some problems on startup, notably getting WiFi configured. But getting an X window from SUSE onto my Mac — haven’t figured that out yet; wants to work but doesn’t. And term window fonts are terribly small, and it’s been a long time since I’ve had to set XResources. I’ve gotten accustomed to setting such properties from the app itself. Can’t see how to do that in SUSE. Coming from Raspbian and Fedora, just another learning curve. But sync’d Firefox with my Mac version and it works fine. SUSE seems *much* faster than kraxel’s 64-bit Fedora 24, both boot and desktop operation. Seems about the same as Raspbian 32-bit. Ran an old FORTRAN chemistry program (double-precision arithmetic) and it ran about the same speed as Raspbian. Looks like the compiler doesn’t use the 64-bit NEON very well. But ARMv8 assembly code really does assemble and run (won’t run on Raspbian, which is running in 32-bit ARMv7 mode). So if you’re interested in learning the ARMv8 architecture (which was my motivation), then this is a quick and easy way to get started. Just costs you a microSD card, a little time, and not much frustration. I have now run Suse on an IBM mainframe and the Pi. Wow. I spent about an hour playing with Suse on the Pi, seems to be a very nice port, no real problems. When I get some time I will put some serious Java on it and see how it runs under Tomcat. Building a working aarch64 (arm64) kernel for the raspberry pi 3 is not rocket science. Anybody can do it. As with all things, you just need the right knowledge. It’s similar to baking a cake. The above guide will show you how. Installed fine, ran ok, but their reg key activation needs a little work. It refuses the key they gave. Pretty much a waste of time today. Format, and back to 32bit until a 64bit Raspbian or Ubuntu is done up. I’m a SUSE Linuxer since the advent of SUSE on the market. My university hosted one of the first PD Downloads for SuSE. They need to work on it. It *DOESN’T* rate the rep SuSE carries. 1) If, for example, you are using a PiTop (Straight up HDMI monitor, folks) it doesn’t boot up to graphics- it’s trashed on the display, but it boots up clean hooked up to a TV HDMI jack. 2) A standard HID keyboard via a Unifying jack doesn’t work. PERIOD. I couldn’t get past the initial config screens on a TV. World’s first Raspberry Pi tattoo? We think so!